Global Youth Service Day (GYSD) is the largest service event in the world and the only one that celebrates the contributions that children and youth make 365 days of the year. The global organizers of GYSD encourage project organizers to consider the United Nations Sustainable Development Goals when determining project ideas, two of which are: Sustainable Education and Education as a catalyst for Decent Work and Economic Growth. 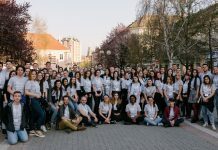 Six teams of FLEX alumni in five countries focused their work with local youth to provide career advice in celebration of Global Youth Service Day. 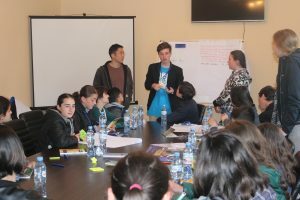 Davit and Peace Corps volunteer Ryan Nakao, worked together to implement a week-long career development project for 30 high school students in rural Adigeni, Georgia. During the workshop, participants received information about career development, money management, and the importance of a healthy lifestyle. The goal of the project was to help rural area students develop and choose a career path, while offering FLEX alumni leadership opportunities. Asel organized a workshop for 25 high school students from low-income families and children from the Tokmok Orphanage. Asel worked with four FLEX alumni volunteers and a representative of Education USA to speak at the events. Speakers shared information about different programs, fields of study, and scholarship opportunities available at Universities in Kyrgyzstan and the U.S.. Asel shared information about educational and self-developing programs that can be found online and helped participants to set up e-mail accounts. Projects like this offer at-risk youth with access information about educational opportunities. 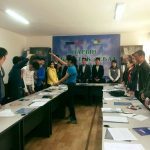 Sezim, with the help of three FLEX alumnae, organized informational sessions for 30 high school students from orphanages in Naryn, Kyrgyzstan. During the sessions alumni shared information on in-demand jobs, interview skills, cv-writing skills, and citizen activism. Alumni shared information about different scholarship opportunities, including information about the FLEX program. The alumnae organizers met at-risk students in their homes and communities to share access and knowledge – helping the young people to get a foot in the door as they seek out their future careers. 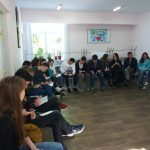 On April 25-26, Mihaela organized a career orientation sessions for 90 high school students at the M. Eminescu School in Cimislia, Moldova. 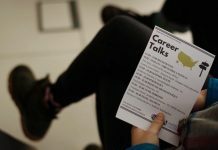 Mihaela worked with psychologist and representatives of different professional fields to share information about career paths with the hope of sparking interest in various fields of study. The psychologist shared tips with students on how they can choose their field of study and profession, encouraging the students to take professional/personality tests and shadowing professionals in their field of interest. Meanwhile, each professional talked about the pros and cons of their profession and about trends in their field. Rukhshona worked with eight FLEX alumni from different generations to organize a career advice workshop for 22 high school students. Participants were selected from 68 applicants, who showed interest in developing professional skills and are college-bound. 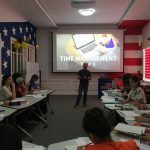 Alumni organized sessions on choosing a profession, in-demand jobs in Tajikistan, becoming a competitive specialist, personality and leadership style, self-esteem, self-awareness, time management, and other career-readiness skills. 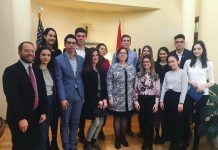 Speakers shared information about the FLEX program and introduced participants to EducationUSA and the opportunities available through it. 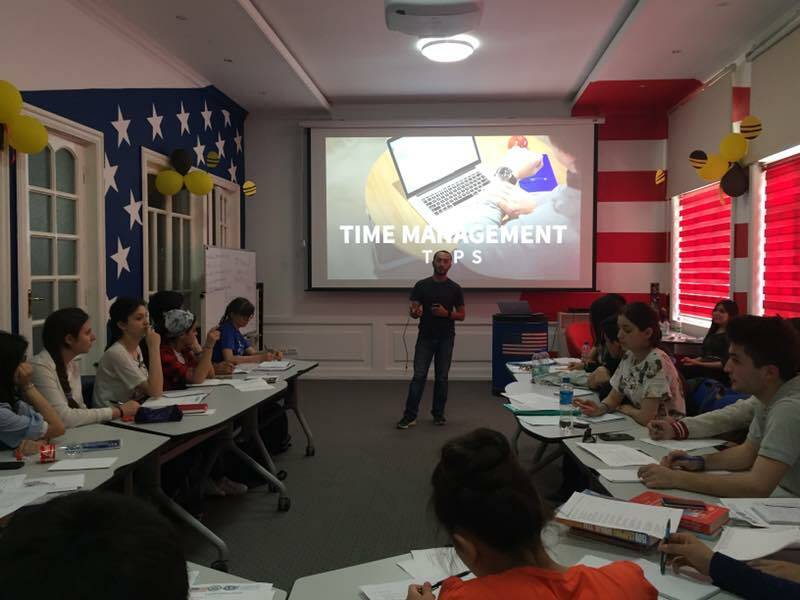 This project helped to prepare the next generation of Tajik youth skills to be successful in the work-field, while offering FLEX alumni leadership opportunities. 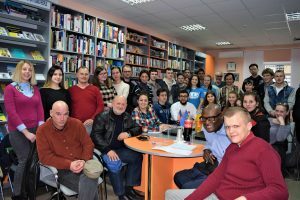 Eduarda organized a youth career fair for 57 community members in Mykolaiv, Ukraine at the American Corner. Participants took part in 12 sessions focusing on career readiness, including presentations led by FLEX alumni and local experts on interview skills, CV writing, team building, in-demand fields, including STEM, time management, and media literacy for career development. Sandy Bowman, Eduarda’s host mother, also took part in the workshop through Skype. Sandy is a chiropractor, shared information about the profession, showing participants what an adjustment looks like. The fair opened participants’ minds to various career fields and prepared them to step into the work force.